Sunday 21st. Easter Day 10am Parish Eucharist for everyone and after our celebrations, an Easter Egg hunt in the church grounds for the children. "He is Risen, He is risen indeed, Allelujah!" St Batholomew's Church, Wigginton is part of The Church of England and is a place where you can belong and grow in the knowledge and love of God. Your faith can grow richer and stronger and people are encouraged and challenged. Whether young or old, people from all kinds of backgrounds have made themselves at home here. We are sometimes informal, sometimes more traditional and we welcome new ideas. We give a central place to the work of t he Holy Spirit, the Bible and the sacraments. Laughter, friendships, challenge, prayer, fun and serving are integral to our faith. We are a lively Anglican Church . Through a wide range of activities and services we aim to be a meeting place for locals and visitors alike. Our school regularily visit the church for their services and play an active part with prayers, singing and reading. This website gives details and aspects of church life which we hope you’ll find useful. 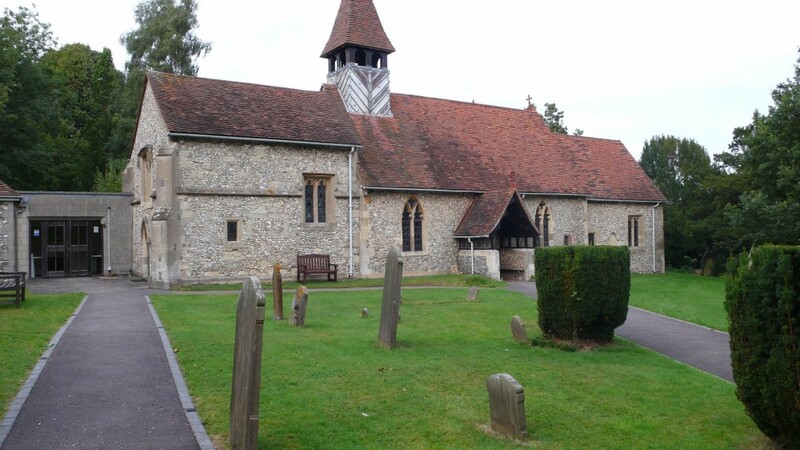 St. Bartholomews Church Wigginton is in the Diocese of St. Albans. If you are new to the village or church, let us know and we will be pleased to welcome you.